I admit, I was late to jump on the Snapchat bandwagon. I was one of those people who thought it was just for teenagers, not for entrepreneurs or businesses. When I finally took the plunge, downloaded the app, created an account, and started posting, a friend even asked me, “Isn’t that platform for sending naked pics?” I realized that many people have some misconceptions about Snapchat or just simply don’t understand what it is or how to effectively use it. 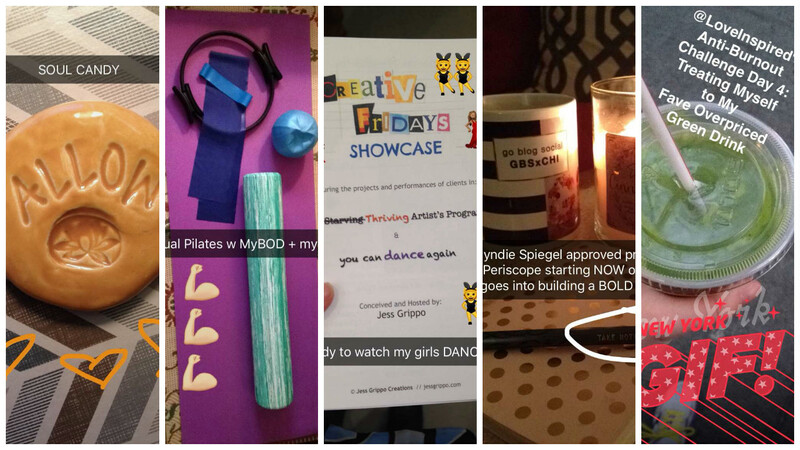 No, Snapchat isn’t just for entertainment or secretly sending scandalous photos. 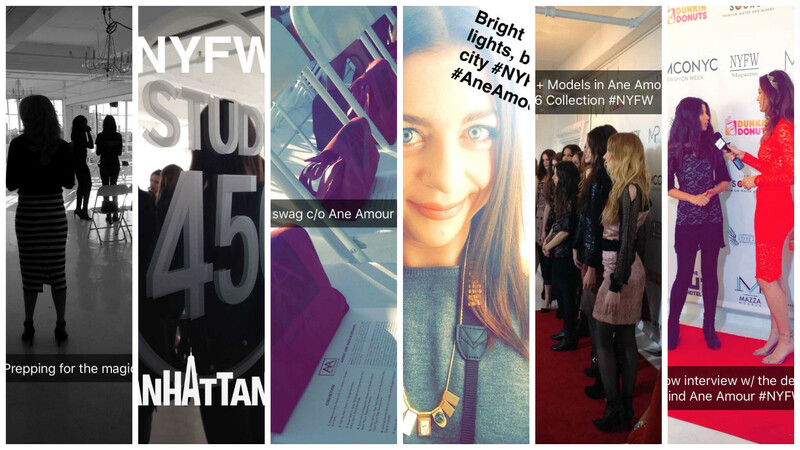 There are a number of ways Snapchat can be used as a valuable storytelling tool for brands. 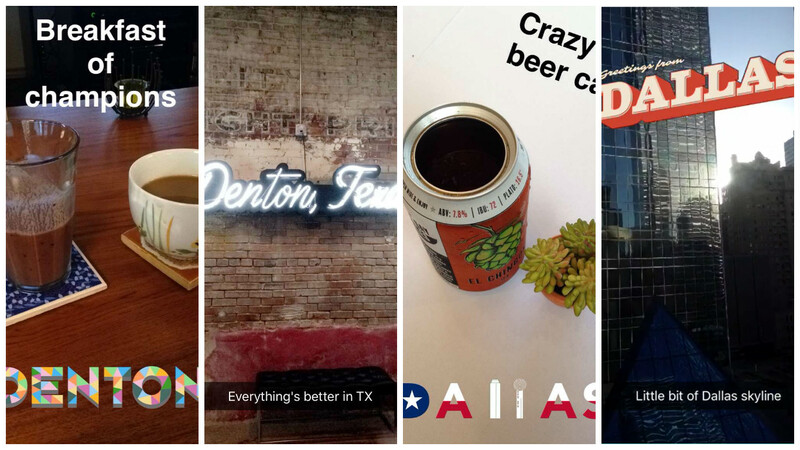 Snapchat content is all about immediacy – think idea over aesthetic. It’s perfect for event coverage. On Snapchat there are very few filters and no image-editing options. While it’s possible to upload an existing photo to Snapchat, most photos and videos are taken directly in the app. There’s no use of elaborate photo editing software or belaboring over the perfect hashtags – it’s a snap-caption-and-go mentality (pun intended). With Snapchat, you can quickly take a photo, add a line of text, post, and repeat. It allows you to easily capture all aspects of an event from start to finish without missing a beat and allows your audience to experience an event right along with you, in real time. Most other platforms and social channels show your audience the finished product – a composed blog post, a fully edited photoshoot, or even a carefully staged Instagram photo. Snapchat has a different focus – the process. The more immediate and less curated nature of Snapchat goes hand in hand with showing the steps leading up to that final, polished product. By giving your audience a behind the scenes look at the inner workings of your business, from day-to-day operations to travel, you build a more intimate relationship with the followers of your brand. It allows your supporters, clients, and leads to have a glimpse into your company culture, your creative process, and how your brand works. At first glance, you might think that cross-promotion is less effective on Snapchat as opposed to other social channels because you can’t actively tag or link to other users. What differentiates the experience of cross-promotion on Snapchat from other platforms is, again, the way in which the promotion is presented – candid and in real time. With Snapchat you can illustrate the use of another brand’s product or service or show participation in another brand’s initiative or event. Like giving a behind the scenes look into your business, cross-promotion is another way to use Snapchat to help your audience gain insight into your brand’s attitude and values. With platforms like Facebook and now Instagram moving away from a chronological experience, we’re slowly but surely losing the element of storytelling on social media. As algorithms give preference to the most popular posts, there becomes an increased pressure to have highly stylized images with killer captions and targeted hashtags. By losing the real time experience, we not only lose part of the story but also part of the authenticity. While platforms like Snapchat, Periscope, and even Twitter may be less popular, they’re at least continuing to offer the more raw and personal experience that social media was originally intended to create. Several weeks ago I was chatting with fellow blogger GaBrielle Pedriani of Look Sharp, Sconnie about contests. It seems that a number of fashion outlets from magazines to social media are constantly presenting contests to their communities to boost engagement. We both admitted to being skeptics of such competitions for a long time. Surely there are hundreds upon thousands of eager followers entering these contests depending on the particular outlet hosting the competition and the prize. Then Gabby had a life changing experience that shifted her view of contests forever: she won. No, no, she won BIG. Last fall, Marie Claire magazine partnered with Twitter and Yoplait yogurt for a contest that appealed to every fashion lover’s dream. The grand prize: an exclusive behind the scenes trip to New York Fashion Week, a meet and greet with Fashion Director Nina Garcia, and a feature in a Yoplait ad in the magazine’s November issue. The contest required participants to tweet a photo of an original look inspired by one of Yoplait’s 40 flavors. Gabby’s mixed berry inspired ensemble scored her the ultimate NYFW experience. While Gabby’s win certainly gives me faith that real girls actually have a shot in hell at winning these contests, I would still venture to say that her victory was once in a lifetime. My contest story isn’t nearly as special, glamorous, or life-changing, but my small win is just another piece of encouraging evidence that contests are actually worth your while. If two regular gals can win, so can you! My win was also for a contest involving social media. Last fall, one of my favorite denim lines, Level 99, hosted a series of Freebie Friday contests on Facebook. Each Freebie Friday contest had a theme that related to the particular denim style being given away. To win, followers had to answer the theme-inspired question in the comments. Instead of entering each week with a generic and ultimately underwhelming response, I waited for weeks when the theme spoke to me and tried to give an honest and personal reply, and it paid off. I won a pair of jeans! Like I said, my win is not nearly as awe inspiring as Gabby’s, but hey, who doesn’t want a free pair of denim? The takeaway here is if you’ve ever thought of entering a contest but never actually done it because you thought, I’m never going to win, maybe next time you’ll think again. I believe Gabby would agree that an important factor to winning these contests is being genuine and true to yourself. So, keep that in mind and roll the dice. The next success story could be you! When was the last time you went unplugged for a day or even a few hours? When you start to think about it, the answer might surprise you. 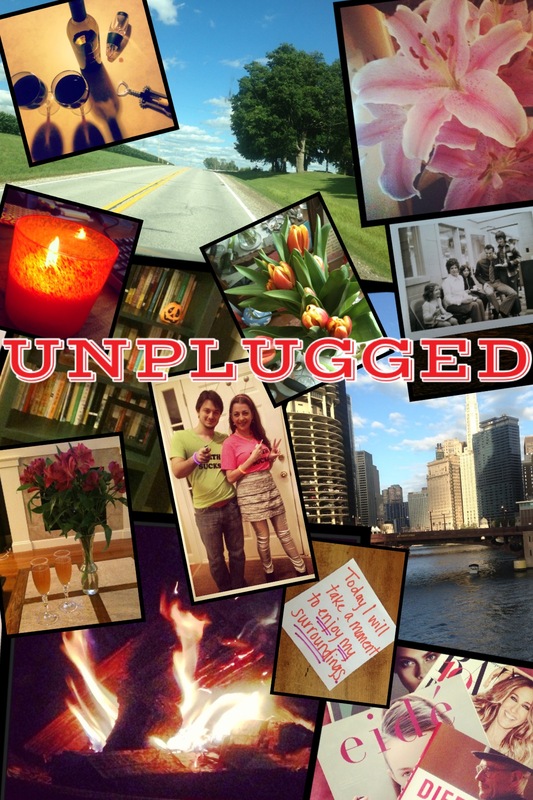 A recent event in my life inspired me to go unplugged for the past week. No blogging. No social media. Very limited emailing, texting, and smart phone usage. For a blogger and freelance writer, this may sound completely crazy. You may be wondering how I could go unplugged for a week. If I can do it, you can too! If you’re like me and graduated from high school prior to 2006, you remember the time before Facebook, blogging, and other social media dominated our lives. Now, these online platforms have infiltrated not only our personal lives but also our professional lives, making it more difficult than ever to go unplugged. I would say this past week is the longest I’ve gone unplugged in years! TAKE THE CHALLENGE: Challenge yourself to go unplugged for a week, a day, or even an hour! Step away from the screen, and give those eyes a reprieve from the electric glow. Remember what it’s like to look around you and enjoy your surroundings. Give those fingers a break from typing and texting and revisit the feel of turning pages between your fingertips – read a book or pick up a magazine! Most importantly, use your time unplugged to get face to face with friends and family you typically text or email. I guarantee that taking the challenge to go unplugged will make you feel good, and when you feel good, you look good. Stay tuned for my upcoming series FEEL GOOD, LOOK GOOD in 2014!